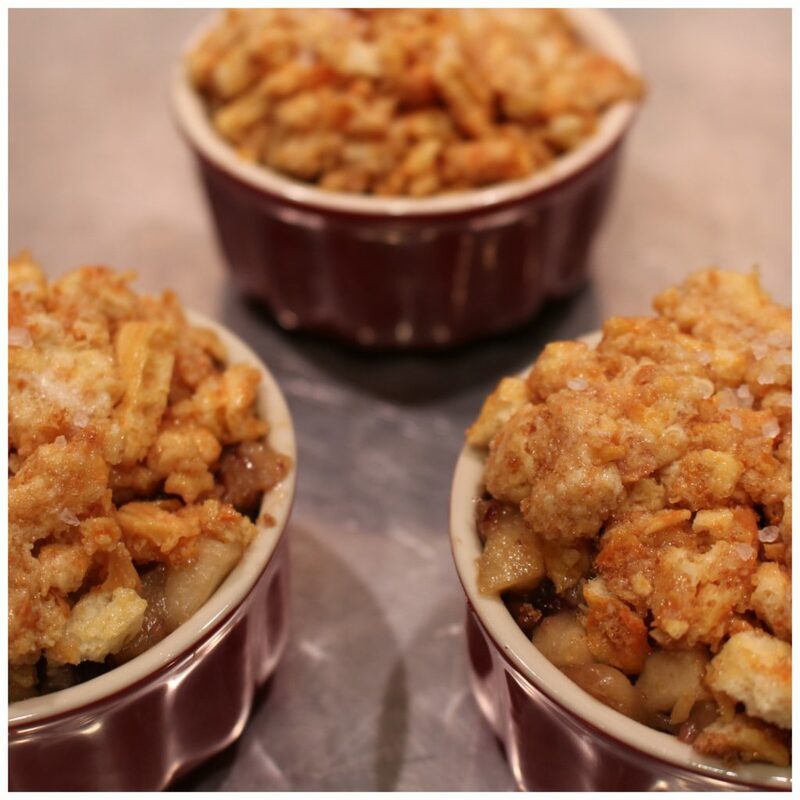 You are going to love this Crunchy Apple Crisp! 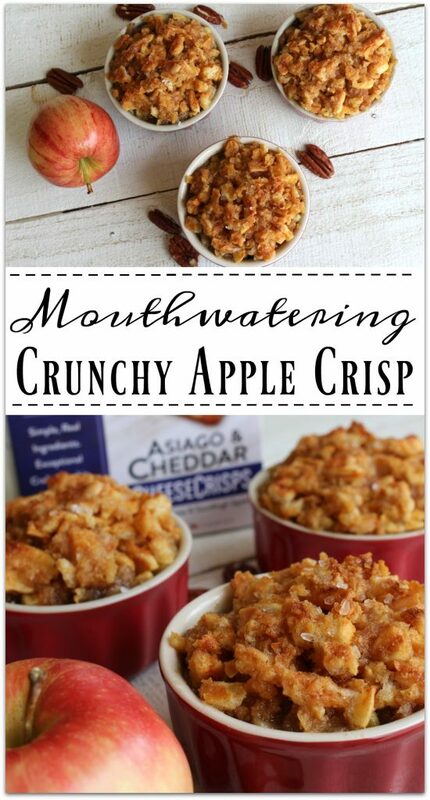 When you’re eating cooked apples, you have to have some crunch to go with the softness of the fruit, right? I found the perfect ingredient for a crunchy topping! A few years ago I found Emeril’s recipe for apple pie, and I’ll never put uncooked apples in a pie shell again. It’s foolproof to cook the apples ahead of time, so that’s the way I make my crisp, too. After visiting with John Wm. Macy’s at the Fancy Food Show in New York City as part of the Mom Blog Tour, I immediately started thinking about how I could incorporate the crunchy goodness of the cheese crisps into my apple crisp. With so many different products to choose from, it was a hard decision! John Wm. Macy developed his original recipe for CheeseSticks in 1976. At the time, he owned a small California catering business. The hand-twisted, twice-baked CheeseSticks were made from sourdough, aged cheese and seasoned butter and became an immediate favorite. 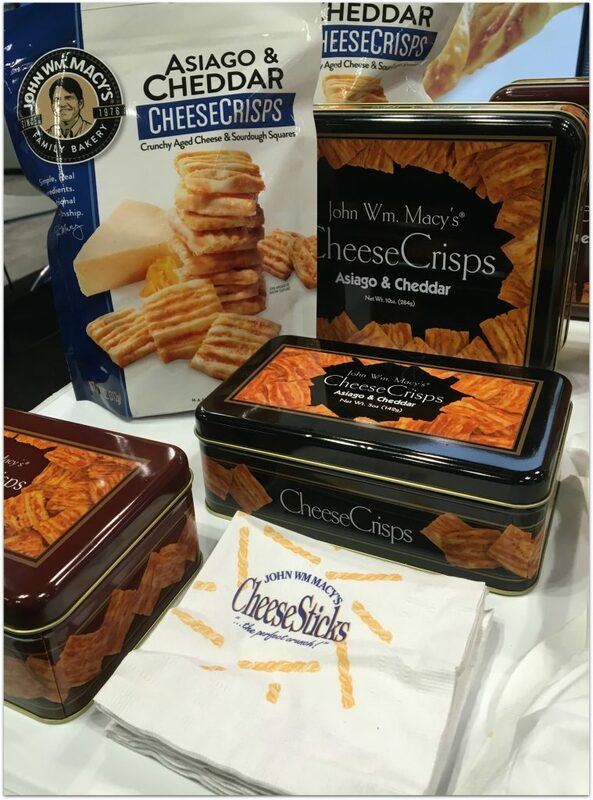 It’s not every day that you meet the owner of a food company at a food show, and we were excited to hear the story of John Wm. 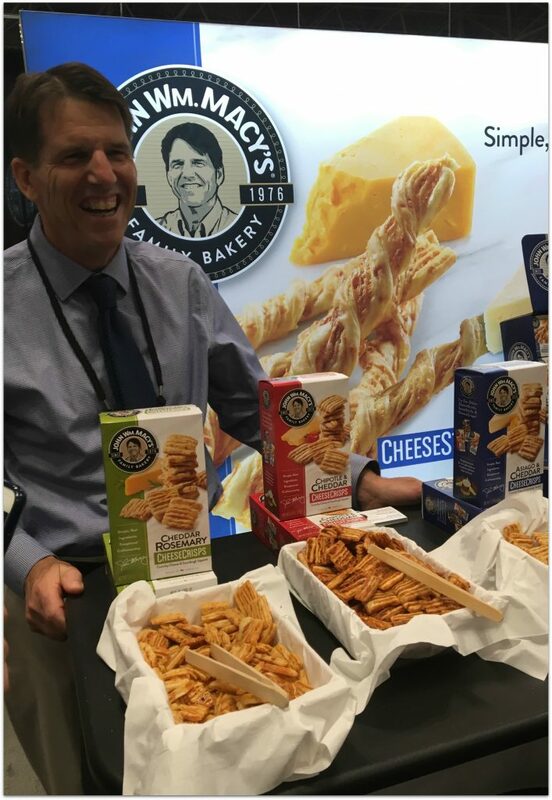 Macy’s CheeseSticks right from the man who created them. He and his team were a joy to chat with, and my family has kind of fallen in love with the CheeseSticks and CheeseCrisps! 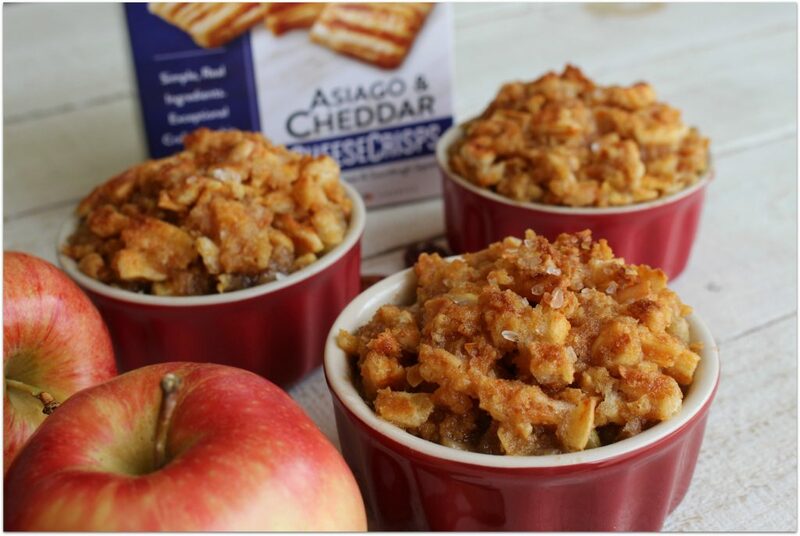 I decided to go with the Asiago & Cheddar Cheese Crisps for my apple crisp, and they were a perfect fit! That’s not to say this recipe wouldn’t be just a fabulous with the Original Cheddar or maybe even the Dijon Swiss. I have a couple of other ideas for later! By the way, these crisps come in decorative tins perfect for a hostess gift or to add to a gift basket. Prepare apples and sprinkle with lemon juice. 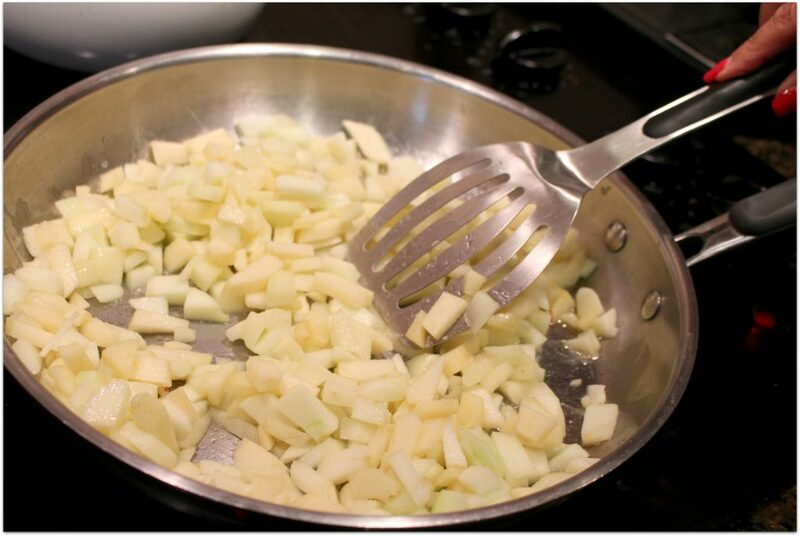 Melt 2 TBS butter in a sauté pan and cook apples until slightly soft. 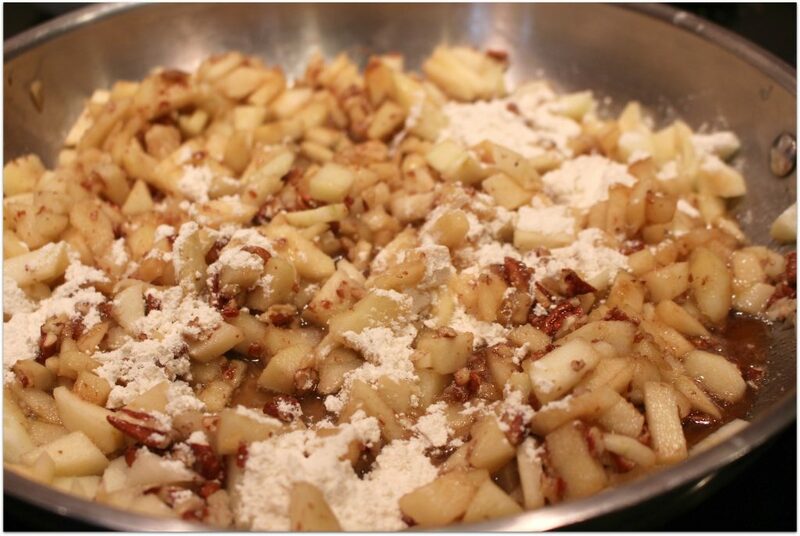 Add pecans, brown sugar, and flour to apples. Stir well. Divide apple mixture between 4 ramekins. Set aside. Cut up butter into small pieces. Add sugar and slightly crushed John Wm. 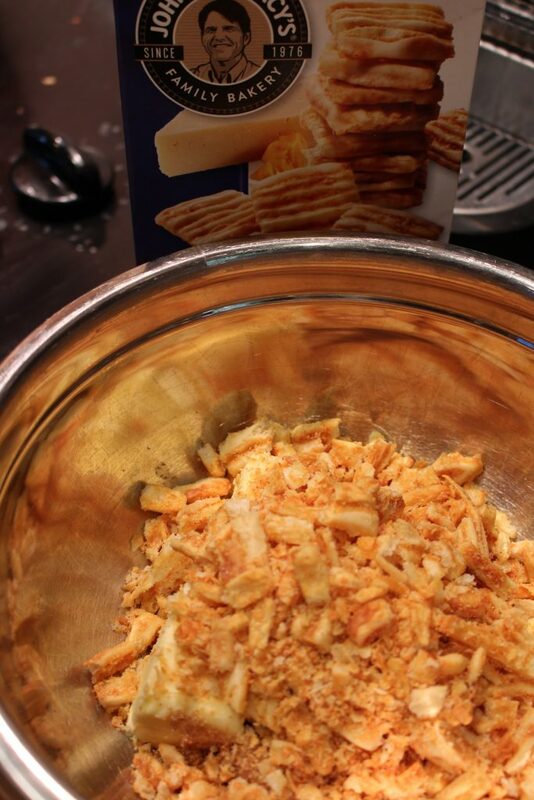 Macy’s Cheese Crisps to butter. With clean hands, be sure there are no clumps of butter in topping. Divide topping among ramekins of apples. Top each with pinch of kosher salt. Broil for additional 3-4 minutes until slightly brown on top. Let cool for 5 minutes. Eat warm. Combine next 3 ingredients and add to apples. Mix well. Fill 4 ramekins with apple mixture. Set aside. Add sugar and slightly crushed John Wm. Macy's Cheese Crisps to butter. It’s a huge assortment, but they won’t last long! My family loved them! A huge thank you to John Wm. 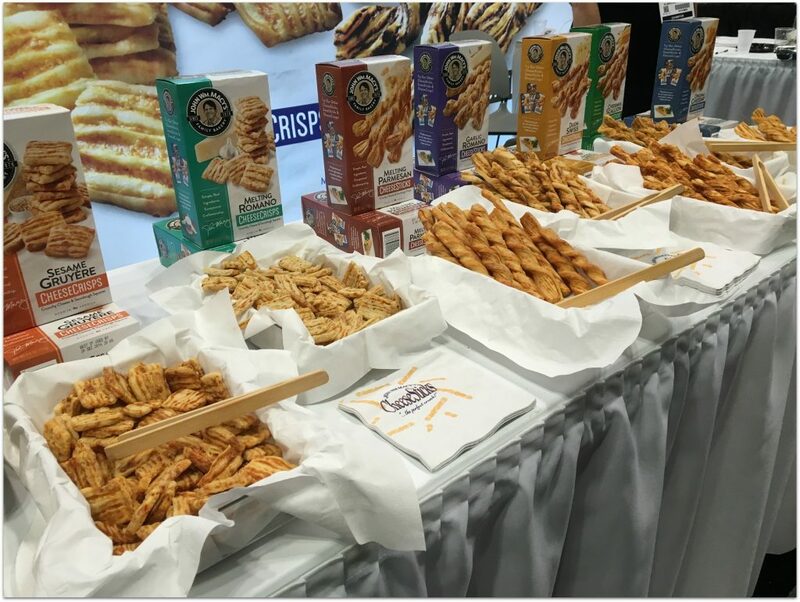 Macy’s CheeseSticks for sponsoring the #MomBlogTourFF! Be sure to follow John Wm. Macy’s on Instagram, Facebook & Twitter! I love apple crisp. What a fun flavor idea! I want to try this. 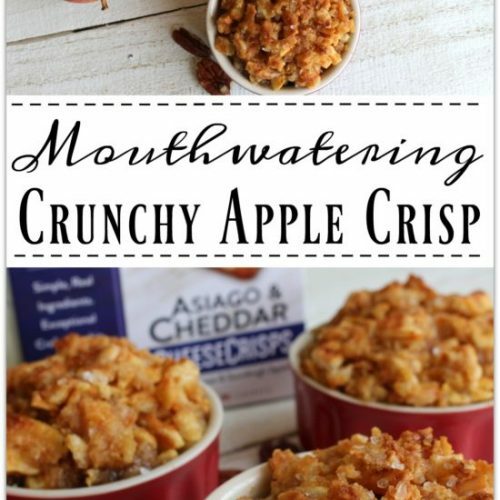 Love the cheesy, apple and cinnamon combination. Can’t wait to make it! I’d love to try the “garlic romano” cheese crisps!! Love anything with GARLIC!! Love to try the Cheddar Rosemary Cheese Crisps!! Yummy! I’d really like to try John Wm. 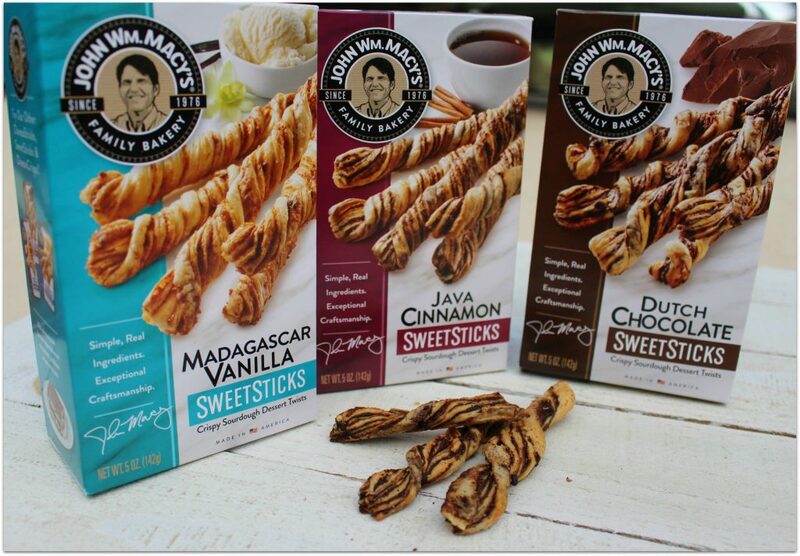 Macy’s Dutch Chocolate SweetSticks! I’d like to try the Cheddar & Scallion Cheese Crisps. I can’t wait to try the Java Cinnamon. I want to try Original Cheddar. I’m looking forward to try the asiago & cheddar cheese crisps! I would love to make this recipe!! I don’t know where to buy the cheesestick chips!! I’d be very grateful if someone could help!! Thank you. The garlic romano sounds delicious. These look heavenly! Just in time for fall recipes, too. Thanks so much for sharing with us at Merry Monday.